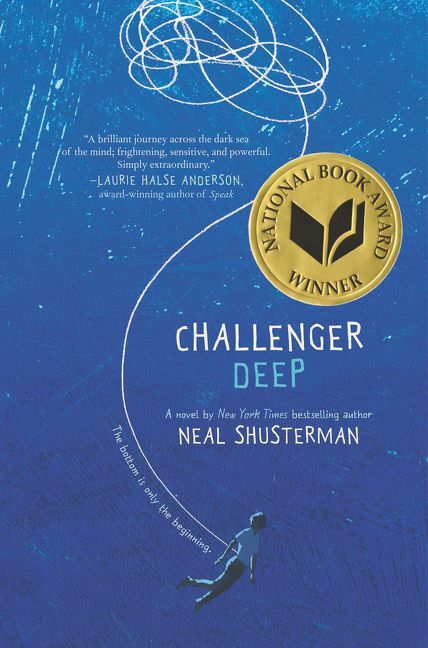 Challenger Deep by Neal Shusterman (Bought) - A captivating novel about mental illness that lingers long beyond the last page, Challenger Deep is a heartfelt tour de force by New York Times bestselling author Neal Shusterman. Caden Bosch is torn. From Goodreads. Trigger Warning: This book features a suicide attempt, and problematic language when discussing suicide. Challenger Deep is an intense and difficult read, but one that is absolutely incredible. 15-year-old Caden Bosch is struggling with his mental health. There's Caden who goes about his everyday life, though now with paranoia, anxiety, delusions, voices, and more, and there's Caden who is on a pirate ship, following orders from the captain. We have chapters both of what's happening in real life, and chapters of what goes through his head, the belief he has about the pirate ship. For the reality side of things, the majority of the story takes place in a psychiatric hospital, and it's once those chapters start that we understand how the captain and the pirate ship came about. This book is tough, because the chapters on the pirate ship? They make no sense. No sense whatsoever. But at least Caden also knows nothing makes sense, and nothing is how it should be - the crow's nest that looks tiny as you climb to it, but once inside is actually huge and holds a bar; the tiny animals that scuttle around the ship that the swabbie keeps trying to get rid of that you think are rats, but then realise are actually brains; the malevolent captain who talks in riddles - not actual riddles, but he makes sense to only himself. Those chapters were just so confounding, and I was constantly thinking, "What the hell is going on?" It was all so weird and so strange, and I didn't enjoy those chapters at all. And yet... they were really powerful, because you know that these chapters aren't the story, that these chapters aren't real, but an insight into Caden's mind as his mental health spirals out of control. That's one thing that is really clever about these chapters; not only are they what Caden believes is happening, they're also a metaphor Caden's state of mind - the closer they get to Challenger Deep - the deepest part of the ocean, where it's rumoured there is treasure on the sea floor - the worse Caden's mental health is getting. That dive that's planned? Huge metaphor. But god, these chapters were so tough to read. But also really heartbreaking. 'It's not like I can control these feelings. It's not like I mean to think these thoughts. They're just there, like ugly, unwanted birthday gifts that you can't give back. And as we get to learn about the hospital, what happens there, the people - staff and patients - that are in the hospital, we can see the parallels between reality and Caden's internal life on the ship. What isn't quite clear to me is if he's able to separate the two? For the most part, it seems like he can; although there are parallels, there is the hospital, and there is the pirate ship, and never the two shall meet. But there comes a point as Caden's mental illness becomes worse, when, for a while, the two become merged. You start off reading a chapter that is on the ship, but then it switches to reality, or you'll have real life chapters, but he'll make comments related to the ship - something to do with the crew, or about the brains, or something relating to a conversation we've witnessed previously on the ship with the captain, but makes absolutely no sense in real life without the context. So for Caden, the two get confused. But does that mean he doesn't confuse them before this point, that he can keep them separate in his head? I don't know. And I suppose it doesn't really matter, and it makes sense that we don't know - Caden is hardly going to pause and speak to the reader and explain what's going on in his head, is he? It's just a niggle that I can easily ignore. There are other ways that Shusterman uses the fact that this is a story, a narrative, to demonstrate what is happening with Caden. 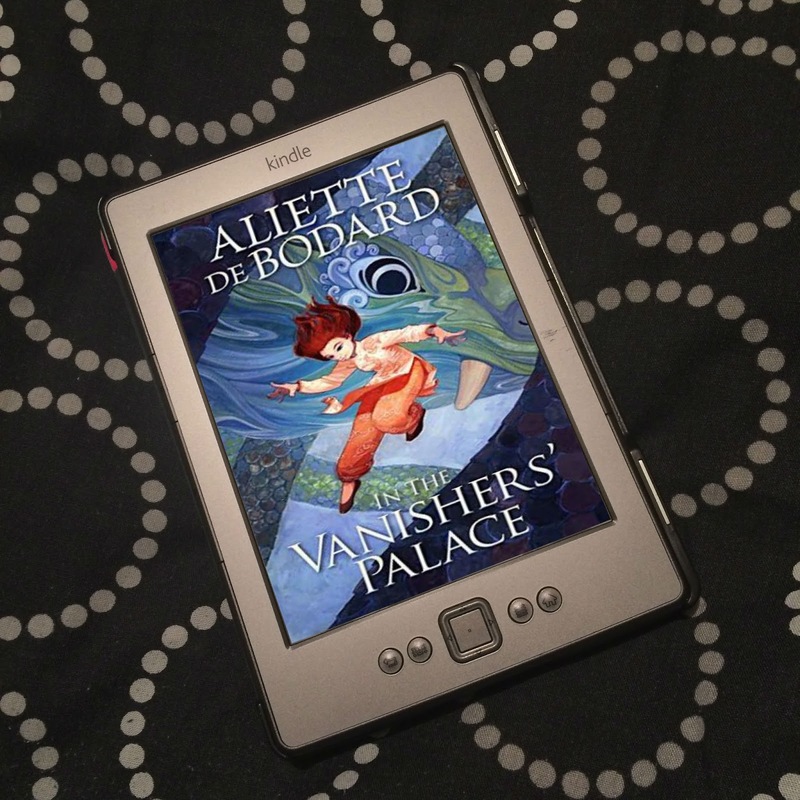 For the most of the book, it's told in first person, both in real life and on the pirate ship. But there are points, as Caden is getting worse, when he talks about feeling outside of himself, that he's not in his head. And as that gets worse, the narration changes to second person. This is so powerful, because it illustrates how Caden is feeling in those moments; he doesn't feel inside himself, so it's "I" or "me" because it's not him, and to show this disconnect, the narration switches to "you" - as you can see in the last quote above. Speaking of how Caden is feeling, we do get to see him try to put it into words. When talking to his school counsellor, Ms. Sassel, when teachers at his school are becoming concerned about him and his behaviour, although he doesn't say it out loud, he tries to express how he's feeling through imagery and metaphor, and it's just so powerful. '"Caden, all I know is something is wrong. It could be lots of things, and, yes, drugs is one of those things, but only one. I'd like to hear from you what's going on, if you'd like to tell me." Challenger Deep also has some quite interesting things to say about mental illness. I really loved this analogy for mental illness, relating it to the "check engine" light on a car. 'It's not like the car manufacturers are much help. I mean, with modern technology, you'd think our cars could diagnose themselves, but no, all there is on the dashboard is this moronic "check engine" light that comes on whenever there's anything wrong--which proves that automobiles are more organic than we think. They're obviously modeled on the human brain. Isn't that just so clever and actually pretty spot on? The book also looks at the stigma surrounding mental illness, especially when it comes to loved ones and their views on "getting better", as seen here in Caden's conversation with Callie, a patient who has been to the psychiatric hospital more than once. '"At home they expect you to be fixed," she says. "They say they understand, but the only people who really understand are the ones who've been to That Place, too. It's like a man telling a woman he knows what it feels like to give birth." She turns to me, forsaking her view for a moment. "You will never know that, so don't pretend that you do." "I don't. I mean I won't. But I do kind of know how it feels to be you." What I found really interesting about Challenger Deep was how Caden never gets a diagnosis. In a conversation with Carlyle, the man who leads group therapy, we get hints at what he might have (Dr. Poirot is Caden's psychologist). 'Then he asks me if I'm aware of my diagnosis--because the doctors always leave it to parents to tell us. My parents have floated a few mental-illness buzzwords, but only in the vaguest way. "Nobody tells me anything," I finally admit. "At least not officially to my face." "Yeah, it's like that at first. Mainly because diagnoses change, but also because the words themselves carry so much baggage. Know what I mean?" I know exactly what he means. I had overheard Poirot talking to my parents. He was using words like psychosis and schizophrenic. Words that people feel they have to whisper, or not repeat at all. The Mental-Illness-That-Must-Not-Be-Named. As someone who felt better about my mental illness once I knew what it was, what that meant, how it affected me the way it did, this is so interesting to me. Because knowing what's going on with me is part of what helps me get through it. I remember the uncertainty before I was given a definite diagnosis a very scary time. The thought of never knowing for definite what I had, being stuck with that uncertainty, stuck in limbo, is really terrifying to me. So maybe I do want a label for my box, and having some understanding of what inside my box, if I don't know everything. That helps me. But I find Caden's attitude of "I'm never really going to know what I've got, because you can never really be correct, and that's ok," interesting and confounding, but also really kind of inspiring - especially as the story is inspired by Shusterman's son Brendan Shusterman's experience of schizophrenia (so although there's never a specific diagnosis, I think we can assume Caden has schizophrenia? This article in which Shusterman discusses the decisions he made when approaching how to tell this story imply so). That isn't something I could have been ok with, and the fact that he is? That's something else. I should also point out that artwork is included throughout the story. I knew from t he beginning that the artwork was by Brendan Shusterman, but I thought the artwork was done for the book - Brendan doing illustrations to reflect Caden's state of mind - and sometimes I just didn't understand it. Some seemed to relate to what was happening in the story, but for most, I had no clue what they were supposed to represent. It wasn't until the end the author's note that I realised the artwork included is the artwork Brendan created during his own struggle with his mental illness. Knowing this, reading the second quote in this review makes me realise just how powerful the artwork is, how personal they are, and how wonderful it is that they have been shared with us. I do have one final thing to say about Challenger Deep, and it's about the language it uses. This isn't a criticism as such, but more me pointing out that this isn't really ok anymore - because not many people are aware. It's to do with how suicide is discussed. There's a moment in the book when a patient attempts suicide, and Caden is never told for definite whether this patient survived or not. It's implied that he has, but in the sense that saying otherwise could be detrimental to Caden's mental health. But he talks about those who "fail" to end their life. That's really negative language, because it implies failure; they didn't get it right. People who don't die after a suicide attempt don't fail, they survive. This kind of language can hurt those survivors. And it also feels like the book is almost judging those who attempt suicide but survive. But overall, Challenger Deep is a deeply affecting, really powerful look at mental illness, one that makes you sit up and think. It's by no means an easy read, but it's one I think we all should. Excellent review of an incredible book. I think I'm due for a reread! Last year I tutored a student who had to write a response to an article arguing against labeling (i.e. 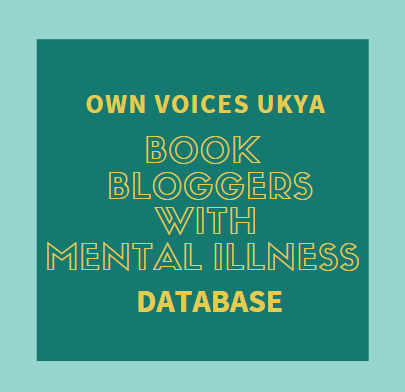 diagnosing) mental illnesses for a variety of reasons, including that they can change a lot and that they can lead to a person being treated too generally rather than for their specific situation. It wasn't an idea I had thought of before and I didn't remember it in Challenger Deep. I'll have to think about that when I give it a reread. Thank you! Isn't it a really thought provoking idea? It's something I really gave some thought this month due to a few books, and a podcast I've mentioned once or twice. :) It's fascinating! 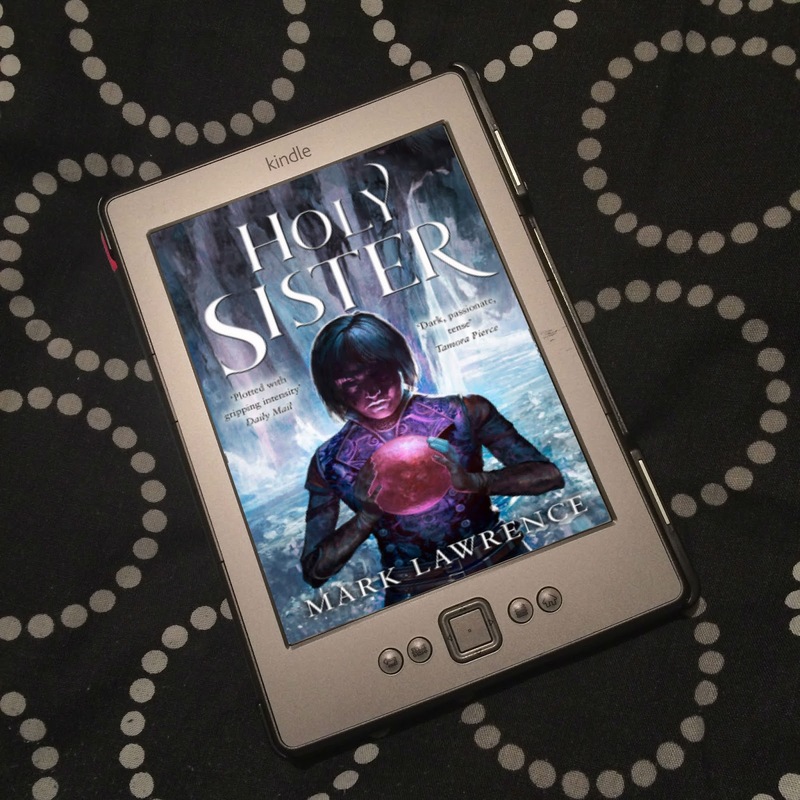 Hopen you enjoy your re-read!